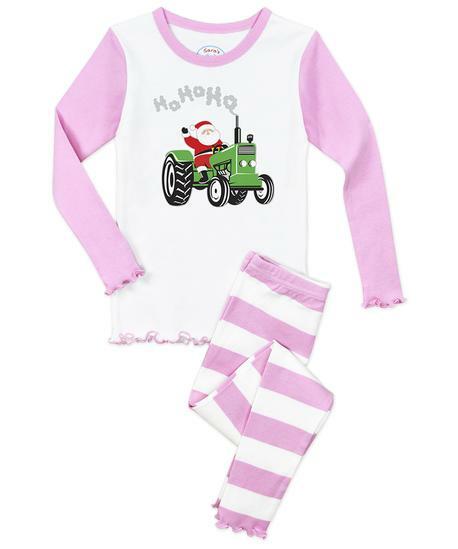 She'll shine bright all year round in these perfect holiday and everyday pajamas! Choose from our adorable appliqued tops with coordinating bottoms made of cotton with delicate lettuce-edged ruffles. Snug fitting to meet CPSC standards, and highest-quality construction that lasts wash after wash, season after season to meet parent standards! Perfect for the family photo and for all the dancing sugar-plum dreams that follow. 100% Cotton. Imported.